Added on Sun, 25 Jul 2010 15:27:56 -0700. Back again, after the exertions of covering the EIFF, with the full crew assembled to talk around Whatever Works, She's Out Of My League, The A-Team, Predators and Inception. 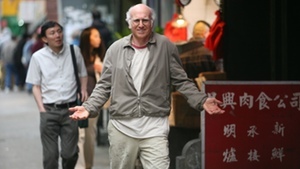 Woody Allen returns to something approaching form with Whatever Works, the curmudgeonly Larry David espousing his world-weary philosophy over a variety of implausible relationships. Realism may be at a premium but thankfully the jokes are not. While She's Out Of My League is almost entirely a rom-com by numbers, thankfully it's a funny one. Likeable lead performances from Jay Baruchel and Alive Eve put this firmly into the above average category. 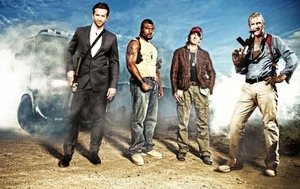 The A-Team has little excuse for existing, really, but it's surprisingly enjoyable for all that. It's a downright silly action movie that thankfully plays the tone just right to become brainlessly entertaining. 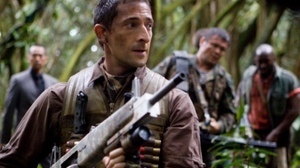 For an action movie, Predators contains a surprisingly small amount of action. For a movie that's attracted a halfway decent cast, it's full of some surprisingly banal dialogue. Regardless, while this is the least of the films covered in this podcast it still goes some way to wipe away the horrible, horrible memories of Aliens Vs. Predator. 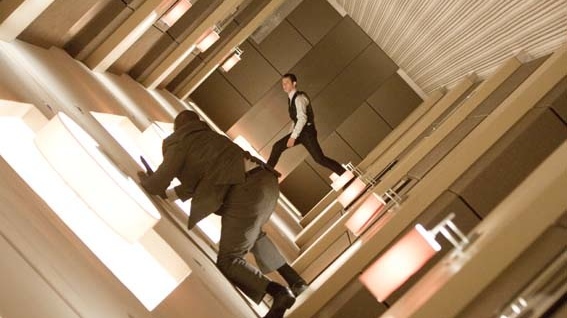 Last up, Inception, which is as good a film as we've seen in a cinema this year. Imaginative and handled with remarkable assuredness by Christopher Nolan, this makes light work of what could have been a very messy concept. Great performances and jaw-dropping effects make this the best blockbuster film, well, probably ever.